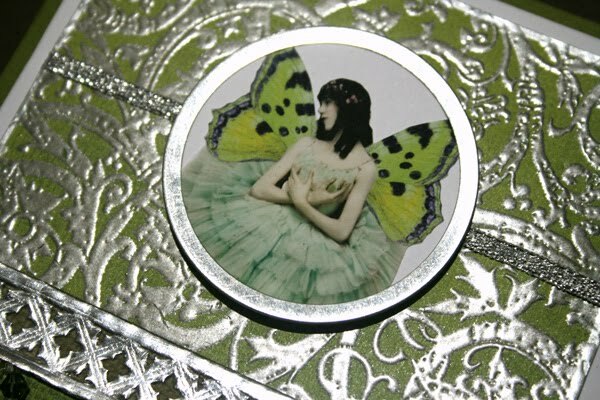 My Creative Existence: Metallic Fairy Card. I've got some very masculine cards to share in tomorrow's post, so today I thought I'd share something pretty and girlie! The background paper of my card was stamped with Darkroom Door ornate background stamp from the "Ornate Elements" set, and then heat embossed using "Pewter" embossing powder. I used a silver Krylon pen to outline the background paper. I attached some beaded trim to the card, and wrapped some silver German Scrap border around the fabric part of the trim. I adhered a thin metallic silver ribbon to the centre of the top part of the card. I cut out a fairy collage image and attached a silver Making Memories Circular Tag Maker Rim around the outside, and then mounted it to the front of the card using double sided foam mounting tape. I hope you're having an inky day! 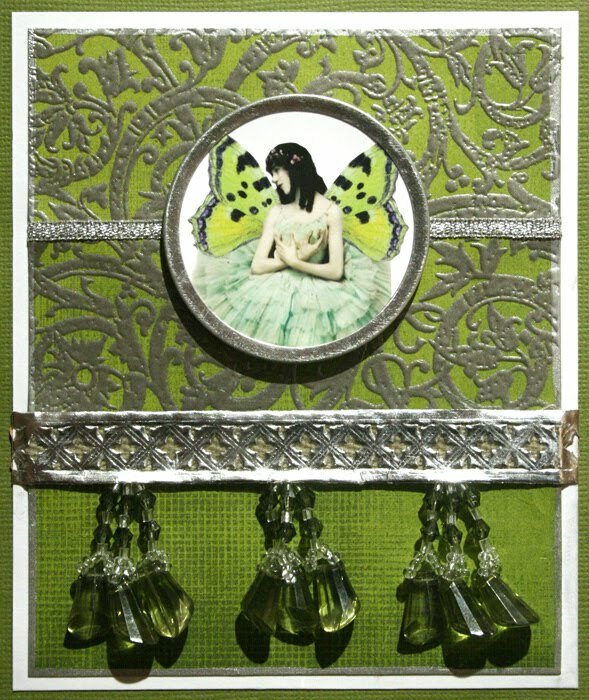 Wow- this card is gorgeous-I love the stamp you've used and the way you've set out the different elements.